B&O Railroad Ellicott City Station Museum – In 1972, Tropical Storm Agnes severely damaged Ellioctt City and threatened the railroad station. 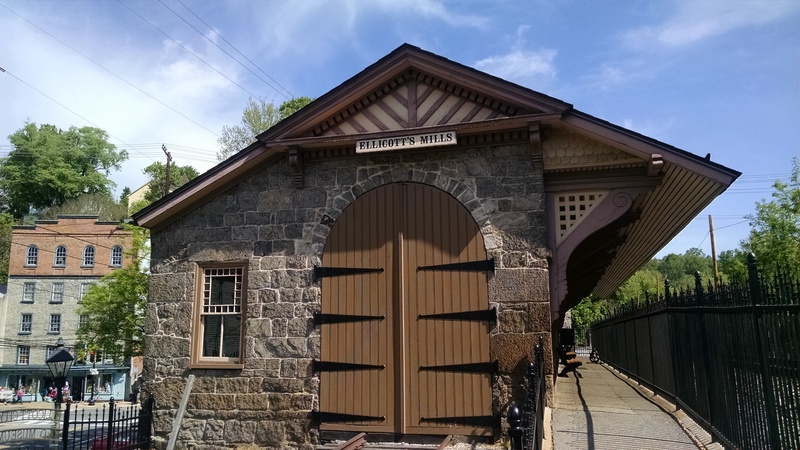 Completed in 1831, it is the oldest surviving train station in America. The station and the railroad brought the city to prominence in the 19th Century. Citizens formed HEC and the Decorator Show House was started for the purpose of raising money to save and restore the station, as well as to acquire and restored a caboose, handcar, gang trailer, and speeder car. The station was restored and handed over to the County in 2006. The Museum was then managed by the B & O Railroad Museum in Baltimore until 2017. Following the devastating flood of 2016, Howard County Recreation & Parks felt that it would be a boon to the town to assume management of the Museum and continue its operation with free admission. The Museum is free to the public during its normal business hours and offers special paid programming some evenings.